Bb-Hijabs have lots of new scarves up on their website. Hijab Jewels have added lots of new pins to their website. Maysaa have selected items from their new collection available to pre-order. 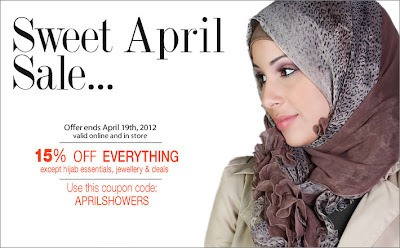 iLoveModesty are giving 15% off all orders (excluding hijab essentials, jewellery and deals) with the code APRILSHOWERS. 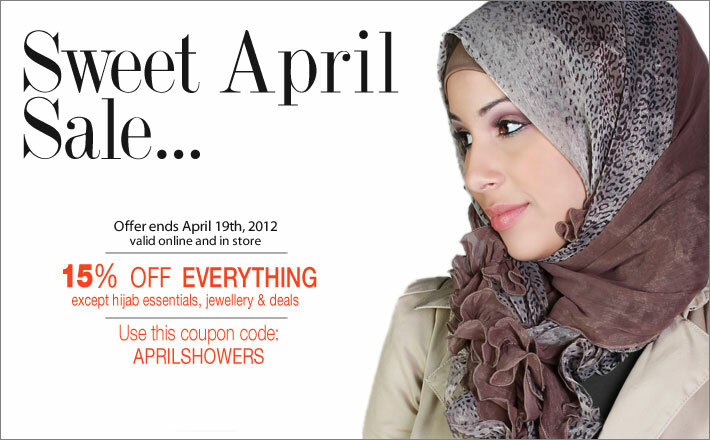 Valid until 19th April 2012.